Everyone knows they need to exercise, but most of us haven’t been able to turn exercise into a regular habit. Maybe you want to build some muscle. Or perhaps you’d like to lose some fat. Either way, you want to feel better, be healthier, and be more proud of your body. What’s the secret of those that exercise religiously? You might think it’s a matter of willpower, but willpower is only a short-term solution. You must know where you’re headed. Do you want to gain or lose weight? Are you trying to become faster and stronger? It’s important to do one thing at a time. Maybe you want to gain 20 lbs of muscle and lose 30 lbs of fat. Lose the fat first and then focus on gaining that muscle. Ensure your goal has a deadline. A deadline creates a sense of urgency. A good deadline should be challenging, but realistic. Put your goal and deadline on your nightstand. Review them both every night and every morning. Determine a time that works for you. If you exercise first thing in the morning, your evening will be free and you know you’ll get your exercise done. However, most of us struggle to get up on time already. Consider using your lunch break for a little exercise. The evening has its advantages, too. Think about what will work for you. Your plan should be based upon your goal and deadline. 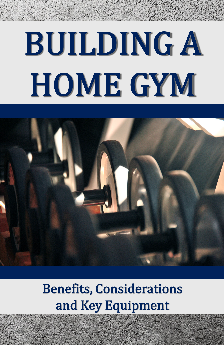 Consider including a schedule, the exercises you’ll perform, and the number of sets or repetitions. Your plan, like your deadline, should be reasonable. Avoid setting yourself up for failure. Find an experienced training partner. Finding a committed and experienced workout partner is a key to your success. If your partner quits, you’re much more likely to quit, too. So find someone that is as serious about working out as you would like be about working out. Approach them and see if you can train along with them. There will be days that you don’t feel like exercising, but those can be your best workout days. When it’s time to exercise, it’s time to exercise. The more you do your exercise, the stronger the habit becomes. Work your plan. Remember that your plan is your path to success. Work on your inner game. Having a goal and a plan will strengthen your confidence. Seeing positive changes in your performance and appearance helps too! Know that it’s all science. If you do the right things every day, success is inevitable! Think about all the wonderful benefits you’ll gain by developing a strong exercise habit. Keep that picture in your mind when the going gets tough. Having success in this area of your life can translate into other successes too. The great thing about exercising is that you’re not really dependent on anyone else. All the variables are under your control. It’s a great way to test how much control you have over yourself. In 30 days, you can have a strong exercise habit that will be resistant to change. Put your best efforts into this first month to create your habit, and you’ll find smooth sailing after that.